We all have our beauty obsessions and one of mine is beauty tools - sponges, brushes you name it. I've gotten so used to brushes, I've forgotten how simple and effective a makeup sponge can be. I particularly love them for concealer so I decided to try out some makeup sponges for a bit more precise application. I've been using the Missha Latex Puffs from BeautySpin. For a makeup tool that's disposable, you may not want to spend a lot. These makeup sponges are not only reasonable, but they work really well at applying foundation, concealer or other liquid makeup products. I like using them to conceal my under eye area and for hard to reach areas like around my nose. The cut of the sponge allows you to cover either small or large areas for more efficient application. It's also really soft so blending is a breeze. I just use a tapping motion to assure full, even coverage. 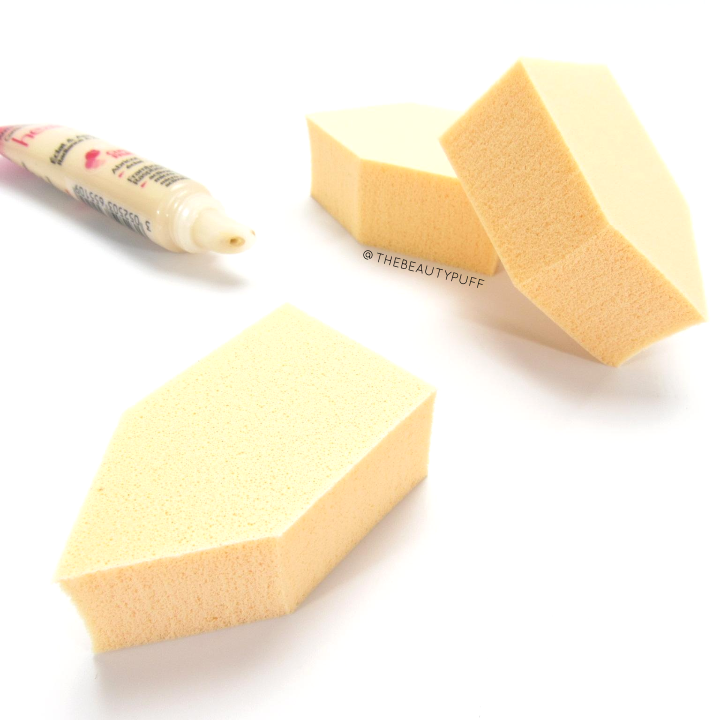 These foundation sponges come in a pack of six so you can use a separate sponge for different products. While I mainly use them for concealer, I also have found them useful for liquid illuminators as well. The application is targeted and concentrated so I'm not sweeping the product where it doesn't belong. You could also use the straight edges with makeup remover to clean up your eye look before foundation application. Overall, these sponges are great quality for the price and you don't have to worry about keeping one sponge clean because you'll have multiples for back-up! You can find these and more beauty tools on BeautySpin.com. Shop their site below!